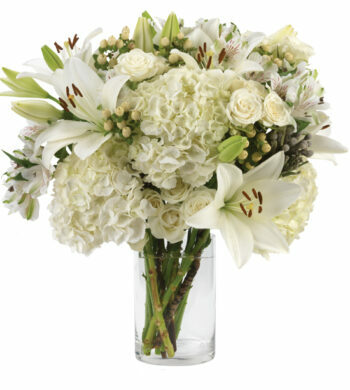 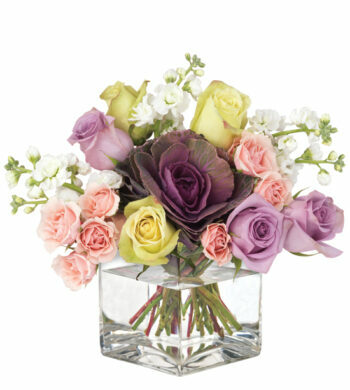 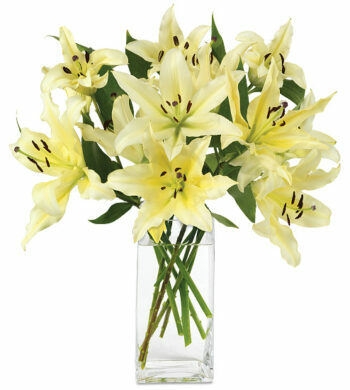 A springtime surprise of the most stunning kind, perfect for Mother’s Day, birthday, wedding, or any occasion! 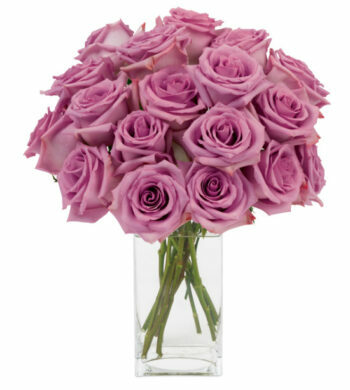 Fifty of our luxury roses in four of the season’s most striking pastel shades arrive to fill the home or office of someone special in your life. 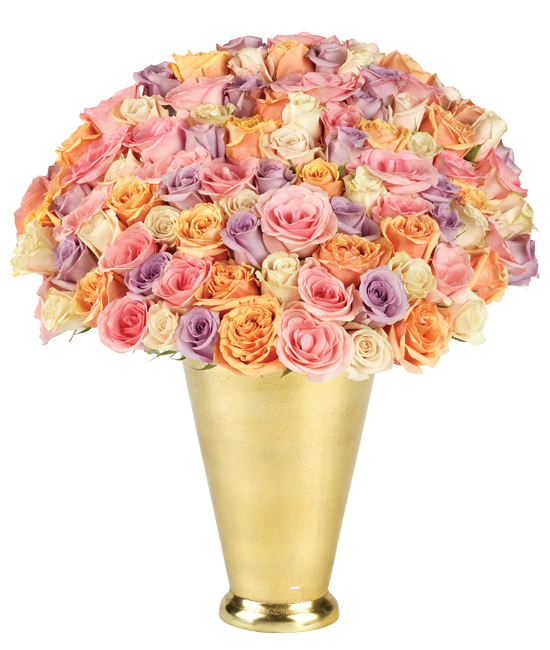 We’ve displayed the luxurious combination of four different varieties (Cherry Brandy orange, Sahara cream, Coolwater lavender, and Laguna pink) in a gold plated aluminum vase, sure to impress.